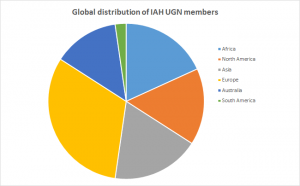 The IAH Urban Groundwater Network has over 200 members from around the world. Professionals with research interests in urban groundwater, development and management, urban planning, and urban water services, are all warmly invited to participate in the work of the network. You do not have to be an IAH member to participate. In fact we encourage wide involvement from the water community, as this will help our network to thrive and give greater authority to our work. We also welcome suggestions and potential collaborations for future activities.